font ebuilds are in "devnull" now too. What about kde4 and/or qt4? As far as i know, qt4 doesn't use cairo nor Xft. I have the Last.fm player installed, and it uses Qt4, and its fonts look identical to those of the rest of my system, so I would guess that Qt4 refrains from messing with the glyphs it receives from FreeType, which means they remain properly filtered for LCD. qtconfig from qt-3.3.8-r4 on the left (which uses xft), qtconfig from qt-4.3.4-r1- on the right, both uses Lucida Sans Unicode, but they look different. You are right that they aren't identical. However, I think the Qt4 rendering looks better in my case. I think Qt4 looks worse in your case. Of course, this is all subjective. Glad to read your link. I think sroedal is talking about a bug i submitted some months ago to trolltech, i totally missed it, thanks. Taken from bug 11838 and bug 13335. Sad, but no lcd font rendering for now. We reverted the public API for setting lcd_filter font options back in 1b42bc8033bc , but we had left the implementation which would examine fontconfig and Xft properties for the option, and which would call into freetype for subpixel glyph rasterization. However, I recently realized, (and the test suite had been trying to tell me for a while), that this approach would cause a regression for users who were previously using sub-pixel text, but without sub-pixel rendering built directly into freetype. That's not acceptable, so all the code is coming out for now. Well, I just reverted the revert and cairo 1.8.0 is working fine here. Thanks for the instructions, octoploid. EDIT: Cairo 1.8.0 with this patch looks terrible. Do I need to do something with my ~/.fonts.conf? and now my cairo-1.8.0 looks identical to cairo-1.6.4-r1 with bi3l's patch. Apparently, "lcddefault" is not the default for the "lcdfilter" option. How counter-intuitive! * add debian/patches/06_ubuntu_lcddefault.patch: set lcddefault as default for the lcd-filter now that Cairo prefers lcdlegacy. This is needed to restore our previous behavior. I just luv this boldness. I've updated fontconfig-2.6.0 according to fontconfig_2.6.0-1ubuntu4.diff which includes the lcddefault patch, and cairo-1.8.0 so that it applies the lcdfilter patch from mwhitlock. I've also added EAPI="1" to the freetype and fontconfig ebuilds. Thx for your great job! 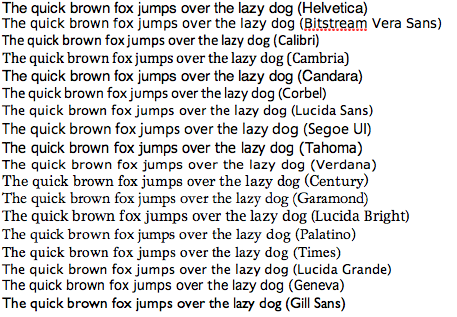 Yesterday I was working on OS X and have to say, fonts are looking great on Mac. Is there any way to config Gentoo to display fonts similiar? I personally think it looks better than both Windows and Mac. I've similiar config, and can't get look like this. The only difference is screen DPI [93x92]. Could DPI be a problem? Another thing is, cairo-1.8.0 from "lcd-filtering" looks worse [thinner] than 1.6.4-r1. Example: http://img353.imageshack.us/img353/6162/screenshot2008100518193yy5.png It might look like small differece, but with whole screen of code cairo-1.8.0 looks just awful. Can you reinstall fontconfig and see if your display is better ? reinstall fontconfig and see if your display is better ? It's not. 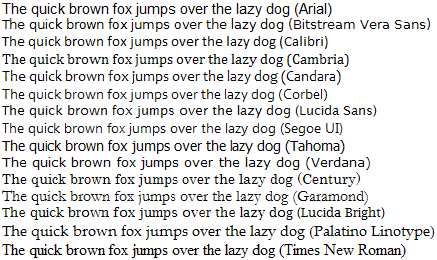 I've upgraded to cairo-1.8.0, reemerged fontconfig-2.6.0-r2 and fonts are still thinner. I've tried even to reemerge freetype-2.3.7 and libXft-2.1.13 but it didn't help either. do you had enabled it? Time indeed to thank you bi3l - your efforts are very much appreciated!!! Like I've said, looks like reemerging fontconfig [when bi3l suggested] enabled 11-lcd-filter-lcddefault.conf by itself, because I don't remember doin' it. Before that my config looked like this https://forums.gentoo.org/viewtopic-p-5238170.html#5238170 , and now looks like this https://forums.gentoo.org/viewtopic-p-5238520.html#5238520 . X was also restarted [or to be precise, tested on new session -- :1 ]. Config <edit mode="assign" name="lcdfilter"> <const>lcddefault</const> </edit> accepts only lcdnone, lcddefault, lcdlight and lcdlegacy [any other value throws error], but fonts look doesn't change. Somehow Cairo sees this value, but ignores it. After emerging fontconfig, did you change your /etc/fonts/conf.d ? Because you should at least have 11-lcd-filter-lcddefault.conf (it changes the lcd filter to default instead of legacy). Where do I find that file? In /etc/fonts/conf.d. It should be a link to /etc/fonts/conf.avail/11-lcd-filter-lcddefault.conf.